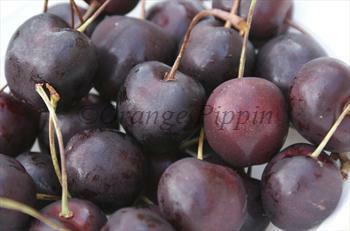 Penny is a large firm black English cherry with a very good flavour. It is one of a number of new varieties which are very late ripening - mid to late August - making it a good choice for extending the fresh cherry season. Penny® is a protected variety. Please fill in the details below and we will let you know when Penny cherry trees are back in stock. A good partner for Penny if you like black cherries. Penny is in flowering group 3. Penny is self-sterile and needs to be pollinated by another tree of a different variety nearby. 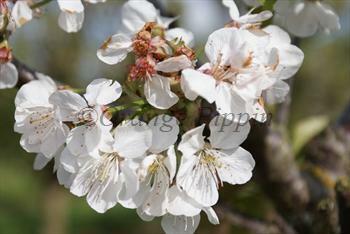 Since it flowers in the middle of the blossom season it can be pollinated by most other cherry trees. Penny is not self-fertile, so it needs a pollination partner and should not be planted as your only cherry tree - but any other self-fertile variety should be compatible. Commercial growers also use Kordia (another black cherry) and Regina. This variety is well-suited to the Gisela 5 rootstock. Whilst much of the development of new cherry varieties over the last 5 decades has taken place in Canada, Penny was developed at East Malling Research, UK, and released in 1998.